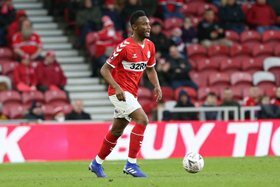 Nigeria international, John Obi Mikel hailed the impact of Middlesbrough fans in their Championship draw with Leeds United on Saturday, while insinuating they deserved to have come away from that encounter with a victory. Lewis Wing's 47th minute goal had Boro sailing through but was eventually cancelled out by Kalvin Phillips' header deep into injury time at the end of the second half, forcing both sides to share spoils at the Riverside Stadium. Thereafter, Mikel admitted the late goal was a bitter pill to swallow as his team have played well and given their all over the course of the ninety. It's a hard one to take. We've played really well the whole game,'' Mikel told Boro's official website. "We did exactly what we wanted to do. We were aggressive, we won the ball, and got in their faces. We tried to play and created chances. "Everything was there today for us to have a good game. "The fans were amazing, they were right behind us pushing us forward. "To concede in the last minute is disappointing but we have to keep going. "We have another big game on Wednesday and hopefully we can get the three points then." Boro who sit fifth in the Championship with 51 points, seven less than league leaders, Leeds are back in action on Wednesday when they travel to face Sheffield United.